All food & beverages must be purchased from the Club. 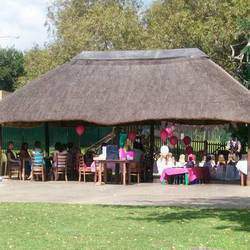 Panettone Cafe @ Zoo Lake Sports Club boasts a Fantastic Family Restaurant and an Amazing Kiddies Party Venue. Parents can enjoy our excellent a'la carte menu whilst children play in a safe, secure environment. What better way to spend a leisurely Sunday or a school holiday than by languishing in our garden area whilst the kids get rid of all their energy! Allow us to ensure your child's special day is memorable! 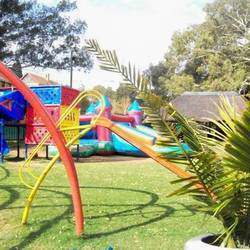 We offer FREE venue hire, with a jumping castle and a myriad of jungle gyms, slides, swings, a trampoline and even a private lapa area (dependent on availability). Our chefs specialise in functions - they will cater everything for your party from sweet and savoury platters to pizzas and hotdogs! Adults and children alike will enjoy our excellent food. Our waiters are ready to serve your guests whether it be teas and coffees or spirits and cocktails. No running around for you, simply relax and enjoy yourself! 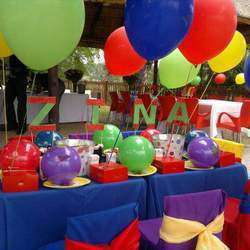 Our dedicated events co-ordinator is waiting to assist you in organising all your decor, entertainment and party bag requirements. Allow our events team to source your clown, magician, balloon artist or even snake show and rocket inflatable!